Spawn is the super popular comic book character that made his debut in 1992's Spawn #1 from Image Comics and Todd McFarlane. A 1997 film was made based on the property but if you have seen it then you know it just isn't a very good movie. After years of talk and speculation McFarlane took to Facebook to announce today that the Spawn reboot film is finally going into production. He is teaming with Blumhouse Productions for the film and McFarlane had this to say, “We’ve gone from the theoretical to now we’re making movies. Blumhouse. Spawn. Badass. R. Get ready for it, we’re going into production. 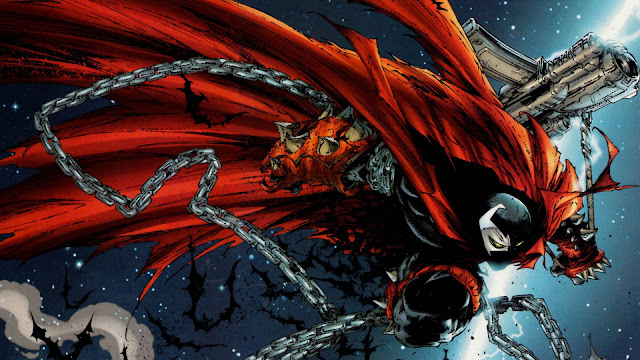 No more talking, it’s time to do.” No word on when Spawn will hit theaters but we will keep you up to date.